Hey there PS Vita fans. We are once again here to announce a very generous and fun giveaway courtesy of our pals over at Reverb Games. 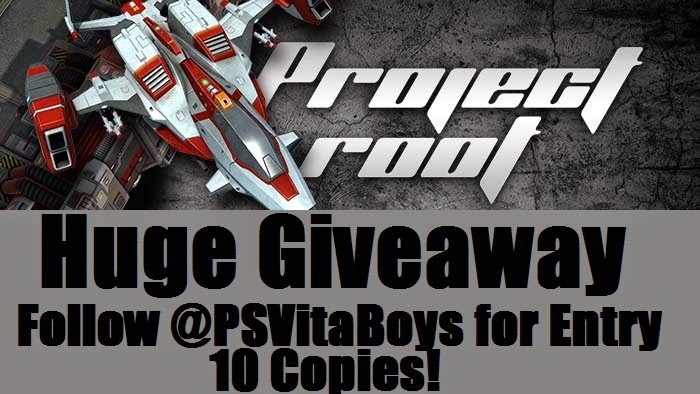 So heres the deal, we were sent 10 copies of their hit new Title Project Root for the PS Vita and PS4. We will be giving them away in two weeks from today. How do you enter? Easy just go give us a follow on Twitter @PSVitaBoys. Its just that simple. All codes will be given out on May 15th, and hey follow @ReverbGames if you're feeling up to it as well.